Sisal Baler has been rot proofed for long term protection against fibre deterioration in the field. Used for small square bales. 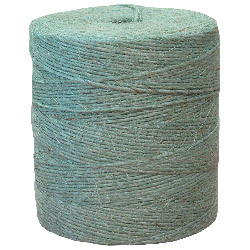 High strength baling twine for small square bales. Free of knots for easy running in the baler. Minimal loose fibres to reduce build up in knotters.